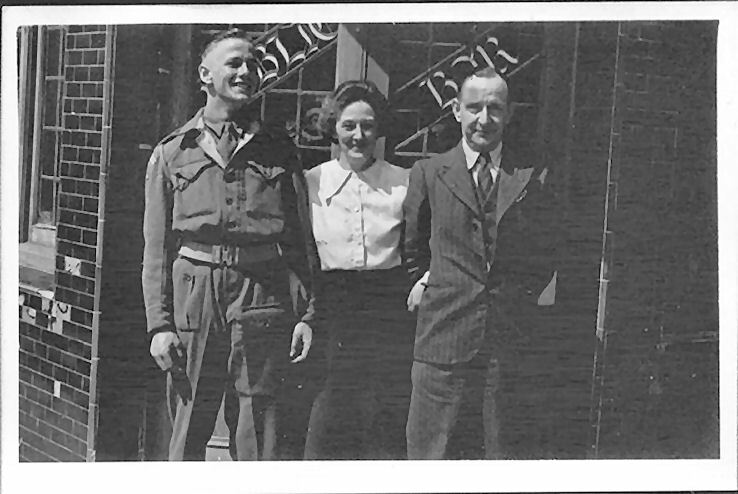 My Grandparents George Joseph Cuff and his wife Mildred Sarah Baverstock were the Publicans of the ‘Golden Cannon’ pub, St Georges Road, Brighton from 1935 to 1949. This photograph shows Mildred and Joseph with their son Stephen, outside the ‘Golden Globe’. Do you remember Mildred and Joseph, or the ‘Golden Cannon’ pub? If you do, please leave a comment below.